From how often you sleep, to when you get paid (and even what you sound like), it’s amazing how much large organisations can glean about our lives from the tiny clues we leave in our digital footprint. 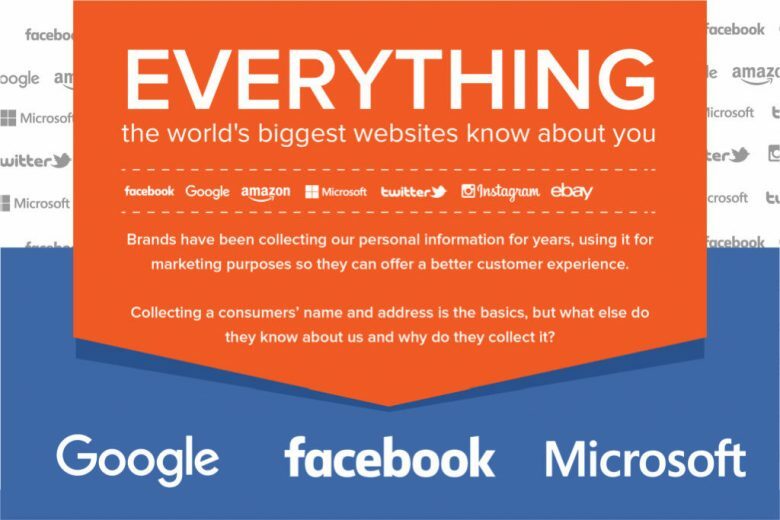 This infographic gives you an insight into just HOW many valuable insights into your life you’re giving away every day, and who is watching for them. It also explains some of the ways they use this knowledge, including making it quicker and easier for you to get to exactly what you want online.